To protect your company file, QuickBooks Desktop Point of Sale allows you to create and customize user accounts and passwords. 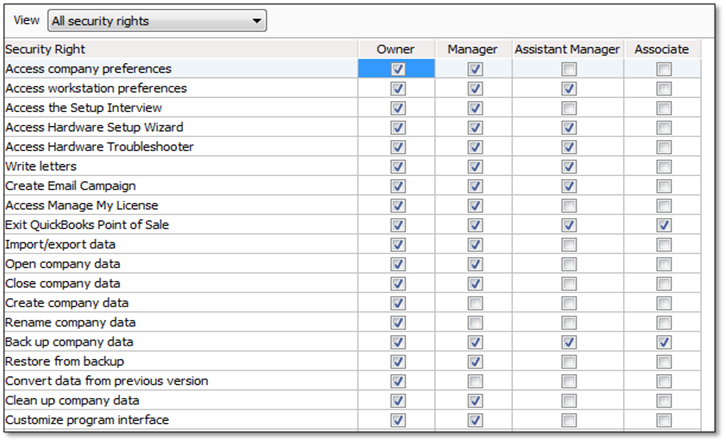 From the File menu of your Point of Sale, click Company, then select Preferences. Click General and ensure that Require users to log in is selected. 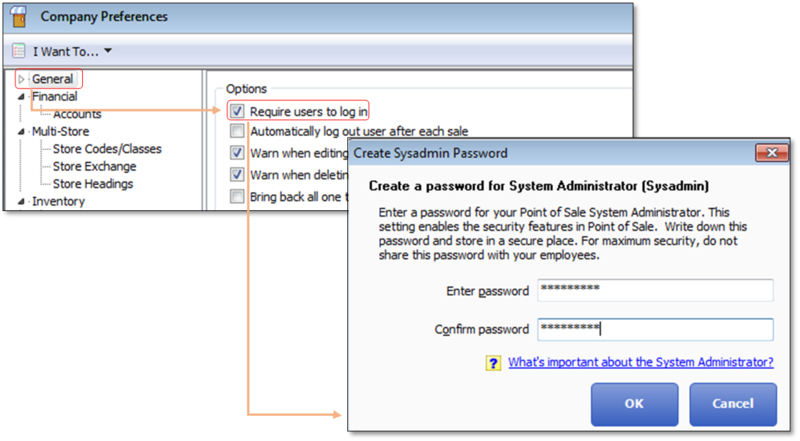 Reminder: You cannot create an employee log in without setting up the SysAdmin. From the File menu, click the Employee List. Right-click the name of the employee, then select Edit Employee. 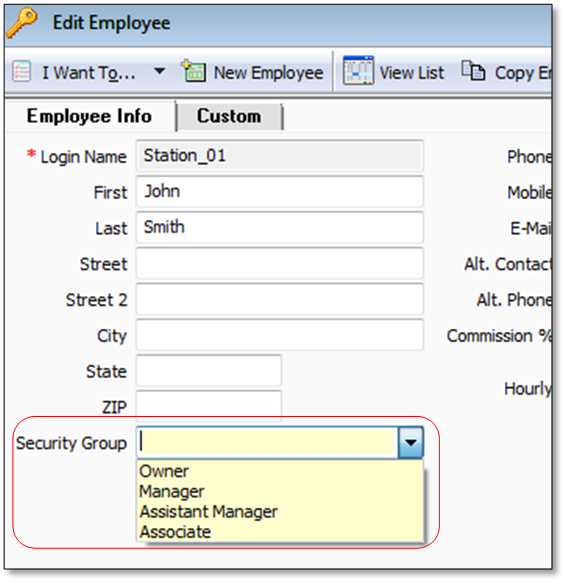 Type in the desired password and click OK.
From the Employee menu, select Employee List. Select the appropriate Security Group, then Save. From the Employee menu, click Security. Review the list, then select or clear the restrictions as necessary.